Broadcast iframe height to allow for flexible length embedded content without scroll bars. 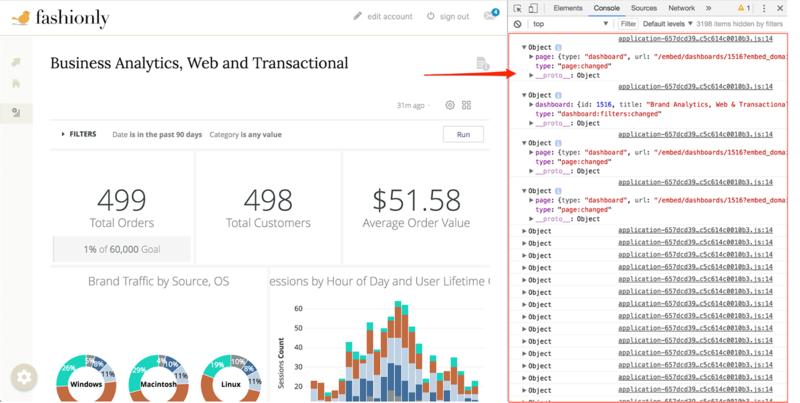 Return Query metadata on Explore pages to store user sessions on the parent site. Broadcast dashboard clicks and run events from the iframe to trigger actions on the parent page. Load and run dashboards based on specific user actions on the parent page. This Block makes it simple to embed custom dashboards and create a curated data environment. This Block allows users to automatically generate a comprehensive dictionary of all metrics in your Looker application.